Marza was adopted by birth and was trained growing up in Native American and Scottish herblore. Her dad with his Native training and Mom with her Scottish Celtic training. Her dad passed away when she was 14, and her uncle took over training her until she was 19. She went and worked in the elements since she was born. Marza received a scholarship to go to Nursing school right after high school. She moved to Oklahoma for College in 1978 where she was trained in nursing, histology, medical technology, hospital contracting, hospital administration, and medical claims. Marza moved back to California and went to work in allopathic medicine in private doctors offices and hospitals. In 1989 Marza was hired by Foundation Hospital and they moved her and her family up to Northern California where she was in charge of Hospital, Physician, and Ancillary contracting in Boston, New York, Washington D.C., Chicago, Dallas, Miami, New Mexico, Las Vegas, Honolulu, and Juneau. Her children were small and flying all over the country every week was very hard on her family logistically. Around this time, Marza met Sun Thunder and did her Vision Quest. Many Elders showed up to help her remember her roots. When she was back at work she saw how many people were being hurt by Managed Health Care and decided to quit. Marza lost her house and her marriage and had to completely start over. This was her rebirth. She began studying alternative medicine with many teachers around the world. Her work has taken her deep into the Andes to work with the Inca Elders, into the Arctic Circle to work with the Siberian Yupick, and to the tops of the Hopi Mesa's. She holds the woman's fireplace of the sweat lodge and vision quest at the lineage fire of Rolling Water and is Elder to the Bear Clan of Nevada City. Marza works and specializes in Vibrational Biodynamic Medicines, Geopathics, Geomancy, and Shamanic Healing. She teaches nationally and internationally, working with Damanhur, Italy Eco Community as a Shamanic Guide and Healer, she has worked with many cultures and tribes through out the world. Staci Ivori is an intuitive guide, tarot reader, Reiki practitioner, herbalist and maker. Since coming out of the “broom closet” as a Witch, and embracing an innate relationship with ritual, her mission has been to create safe sacred spaces that foster growth and re-connection with our true essence of self, through ancient traditions and new modern practices. She resides in Brooklyn, NY where she teaches workshops, leads moon ceremonies and various circles. 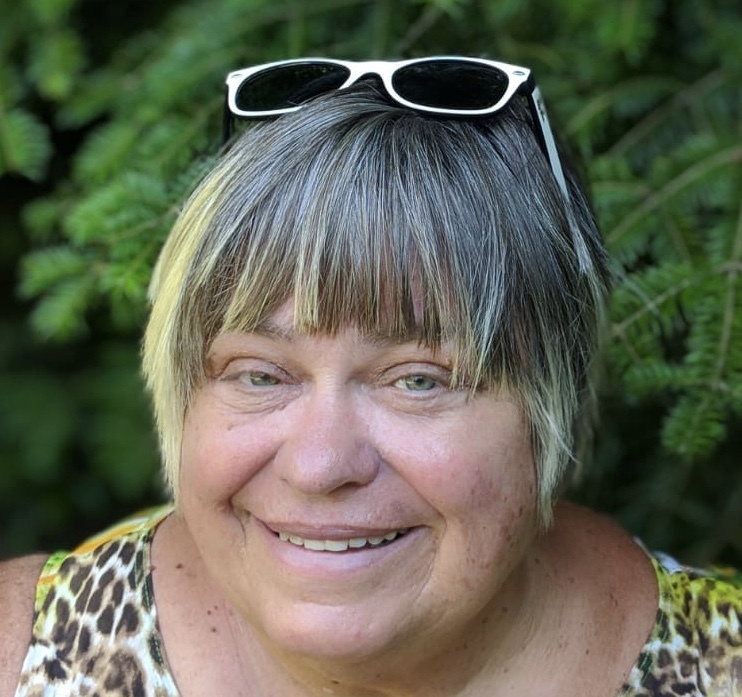 After her own transformative initiation experience with Woman Within International, she regularly staffs on healing retreat weekends and is the Circle Coordinator for the NY-Metro area of Woman Within Eastern, placing women in circles who are seeking community and connection. Her skills for facilitating Women’s Work is paramount, for surviving her own intense traumas has gifted her the ability to connect with women on a profound level and guide them to their own inner knowing. We all have the ability to retrieve the gold within our shadows during deep transformations. Staci Ivori is purely here to facilitate and support you along your journey. Adelaide Marcus is a microcosm of artistry! She owes much of her creative energy, innovative stamina and sense of empowered-self to her belly dance practice. Having learned from her mother, who danced throughout pregnancy, this “womb dance” is quite literally Adelaide’s birthright. To Adelaide, sharing belly dance and sisterhood honors the antiquity of the dance. Historically, women learned and explored belly dance as a rite of passage, from rejoicing in the first blood drops of fertility to the helping the body and emotions through the transition into motherhood, and honoring the process of menopause. Belly dance is a lifelong practice AND celebration. Adelaide celebrates much of life through dance. She quickly made her way into the spotlight after graduating high school and moving to San Diego in 2005. Although she obtained a degree in psychology, entertainment became the obvious career path, which she passionately pursues daily. “The Shimmy Sisters” dance company, co-created with her blood sister, was her launching pad to becoming an international performing artist and distinguished teacher. Adelaide’s entrepreneurial and artistic abilities meld in a way that’s uniquely her own. 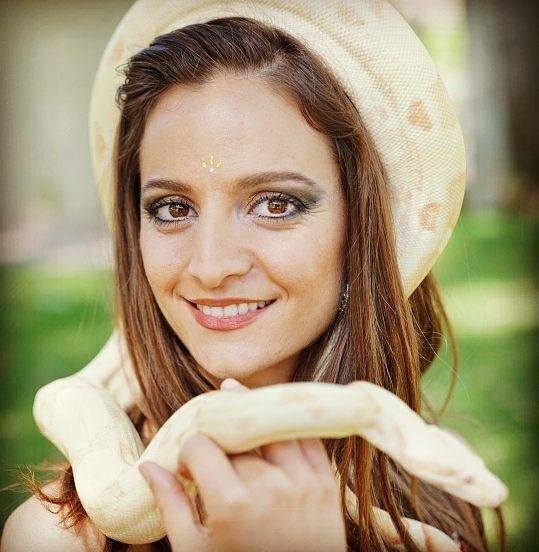 Her passions are her professions, and include fire dancing, snake charming, mermaiding, modeling, painting and much more! I believe in the dignity of each human soul and that we are all stewards of the earth. I am interested in being a force for positive social change; a protector of targeted people and the environment. The gifts I bring are a deep knowledge of the nuances of countering oppression, and a dharmic drive to share them. I look forward to inspiring authentic expressions of engagement. I am a Sufi raised multireligious woman of color single mother, with one differently abled child. My mother was the first female Muslim to publically lead a prayer and is world renowned as a gender equality consultant within Islam. I was raised in a counter oppression mind-state and studied for my Masters for Social Change at the Graduate Theological Union of UC Berkeley. Vidya is a certified Tantra Instructor who has witnessed first hand the deep transformation and healing that occurs when one works consciously with sexual energy, the body and the mind. She is passionate about ritual, mantra, kundalini practices and natural healing. She has taught around the globe, offering workshops, yoga series and private coaching sessions. One of her favorite area's of expertise is women's sexual health and healing through Tantra. Lily Rothrock is a digital storyteller, helping her clients create compelling content for their work online that speaks from their authentic self. As she awakens to the damaging effect of dominant cultural stories that don't reflect her truth, she views her work as part of the great remembering, helping to create a culture of mutual respect, kindness, and vitality for all. More at lilyrothrock.com and @lilyrothrock on instagram. Christina is a Singer-Songwriter, Sound Healer, & Cacao Ceremonialist. She carries heart songs from a variety of traditions, and has been writing & composing her own music for 10 years. A traveler at heart, Christina has shared her music in over 30 countries, and has been graced with the sounds of many cultures. After recently traveling to Guatemala, where Cacao sings the song’s of the land, Christina began working with the Mayan medicine of Cacao. The heart opening effects of Cacao allows for singing a sweeter tune. Singing from the heart, is about shifting into a heart centered place, and Cacao is the medicine for that sacred shift. Christina’s mission is to honor play as a spiritual practice & through song, storytelling, & sacred sillimonies, help people feel more vibrant, connected, & free. 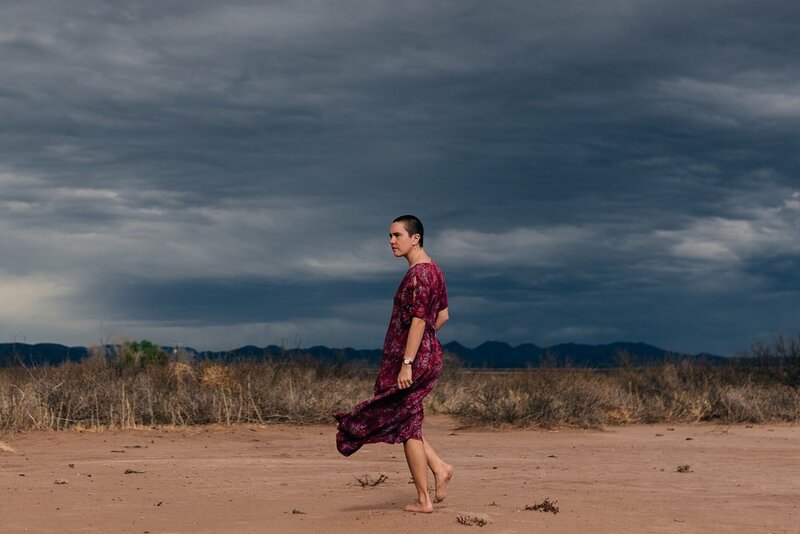 Mackenzie is a song gatherer from many traditions with a passion to weave women together to experience song as an ancient form of connection. Singing is a “Primitive” skill, perhaps one of the most important! To sing is elemental and natural. It expresses that which words alone cannot. She believes in the power that arises when women gather to give voice to the unseen. She believes we all have a song born within us. We each have a voice that is all-powerful and all-knowing that exists deep inside. Mackenzie believes this voice can create magic in our world and can heal our bodies with the vibration it creates. This voice inside is waiting to be sung into creation. Each of us is a vessel for manifestation, creation, and beautifying the world. She believes we are here for this; we are here to sing ourselves alive. Her mission is to support women in finding the song inside herself. Mary is a handpoke tattoo artist and photographer based out of the Cleveland National Forest in Southern California. She has been tattooing since February 2018 and is continually learning more about this art that is deeply alive and intimate. For Mary, tattooing is about storytelling and connection, the joy of discovery and collaboration, and the celebration of body and spirit. She believes that tattooing holds grounding energy for empowerment and healing, and through the process of being tattooed, one has space to explore different modalities of self actualization and expression. This craft is fluid and humbling, and she cannot wait to create with the amazing womxn at Origins this year!